After a massive push from Dallas Love Field that began in late 2014 and continued through 2015, much of Southwest’s capacity growth in 2016 will stem from increased aircraft utilisation and the annualisation of an international push from Houston Hobby airport that occurred in late 2015. The airline plans few new cities in 2016 as it works to shrink the number of new routes under development in order to continuing growing its revenues. Some unexpected discounting on competitive walk up fares in late 2015 triggered a revision of Southwest’s unit revenue forecast for 4Q2015 from positive growth to a flat to negative 1% performance. But Southwest seems unconcerned over the revision, highlighting its projected record profitability for 2015. 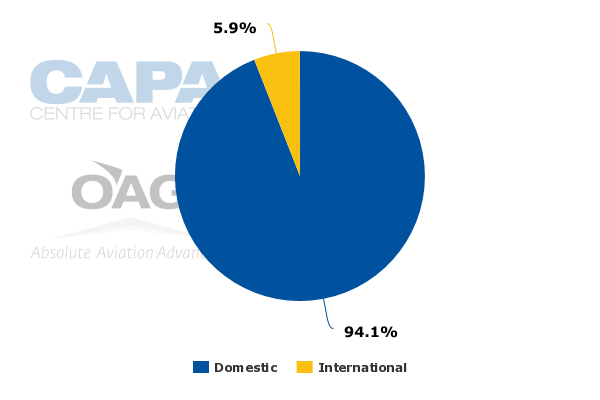 Although Southwest has made a significant international push during the last couple of years, the airline maintains that most of its growth prospects remain in the domestic US market. The company believes much opportunity remains to connect the dots within its domestic network, and sees potential for a resurgence in some short haul flying. After the official lifting of the Wright Amendment that had banned the operation of certain long haul flights from Southwest’s headquarters at Dallas Love Field in Oct-2014, Southwest seized on the opportunity to add direct flights to key markets including Washington National and New York LaGuardia. It added more than 30 new destinations from Love Field and grew daily departures from the airport from roughly 120 to 180. Love Field now represents Southwest’s fourth largest airport by departures (as of Apr-2015). In Oct-2013, the airport was the airline’s eighth largest airport by that measure. Growth from Dallas Love Field represented the bulk of Southwest’s 2015 capacity growth. Its rapid expansion created stiff pricing pressure in the market, with some competitors claiming at one point fares to New York and Washington were trending in the double digits. Throughout 2015, Southwest constantly stressed the success of the Love Field routes, and its message at YE2015 was no different. Company CEO Gary Kelly stated the new routes from Love Field were delivering returns on capital above Southwest’s system average. At 180 daily departures, Mr Kelly concluded that Southwest was at capacity in Love Field, and now it is “just a matter of fine tuning...and declaring victory”. Some of that fine tuning appears to be capacity cuts from Dallas Love Field to New York LaGuardia and Washington National. Southwest’s seats deployed to LaGuardia are falling roughly 29% year-on-year in mid-Jan-2016 and 41% year-on-year between Love Field and Washington. The new market growth from Love Field drove the number of routes under development in Southwest’s system to as high as 20% in 2015, by 4Q2015 that number had dropped to 12%, and Mr Kelly expects it to taper down further in 2016. Southwest is projecting 5% to 6% capacity growth in 2016. 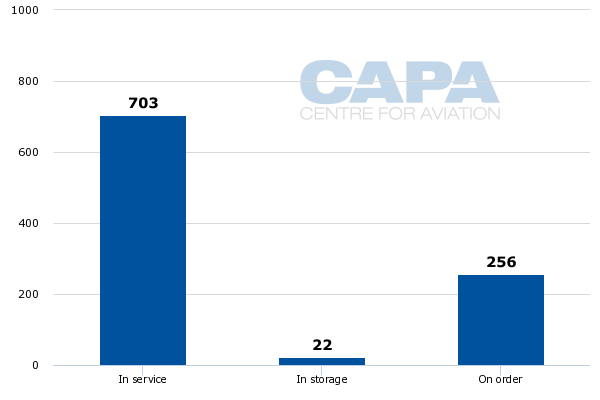 Mr Kelly stated that much of the increase in ASMs is driven by restoring the airline’s fleet to historical levels of utilisation. During the integration of AirTran, some aircraft were undergoing configuration into the single class Southwest layout. Southwest’s CEO estimated that returning aircraft to more regular levels of utilisation would represent the equivalent of adding 40 aircraft to the airline’s fleet. Overall, Southwest expects to add a net of 15 new aircraft to its fleet in 2016. Orders include those placed directly by the operator and by lessors assigned to the operator, from 1-Jan-2016 onwards. Another driver of Southwest’s projected 2016 capacity growth is international expansion from Houston Hobby, its seventh largest airport measured by departures. The airline debuted international flights from a new terminal at Hobby in Oct-2015. Prior to the push, Hobby had little international representation, and now with the launch Hobby’s international seat deployment has reached nearly 6%. Based on schedules from CAPA and OAG for early Jan-2016, Southwest operates international services from Hobby to Cabo San Lucas, Puerto Vallarta, Mexico City, Cancun, Belize, Montego Bay, Liberia, San Jose and Aruba. The airline also operates flights from Hobby to San Juan in the US territory of Puerto Rico. After Southwest adds new flights from Los Angeles to San Jose, Costa Rica in Apr-2016 it will serve 12 international markets from 12 US destinations. Mr Kelly estimated international markets would represent roughly 2% of Southwest’s system capacity in 2016. Although Southwest believes numerous international growth opportunities exist within North and South America, Mr Kelly believes that most of Southwest’s growth opportunities remain in the domestic market, inside the 48 states, both from connecting new markets to existing cities Southwest serves, and a potential return of short haul travel. He concluded that US short haul travel has been harmed during the last 15 years. But with lower oil prices and relatively stable fares, “hopefully we’ll see a return of a lot of that traffic”, Mr Kelly stated. Previously, Southwest has estimated between 2000 and 2012 its short haul passengers fell from 38 million to 31 million. But the airline has opted to layer back in some short haul flying in 2016 based on positive early signs in 2015. Between Mar-2016 and Apr-2016 it is introducing 10 new routes, five of those being of less than 500km operational length. There are three with sector lengths over 1,000km, including Wichita-Phoenix, Newark-Orlando and Newark-Las Vegas. Southwest has revised its 4Q2015 unit revenue guidance from a 1% gain to a flat performance or a 1% decline. The airline is not reporting PRASM after it struck a new USD400 million credit card deal. USD150 million is being recorded as a special revenue item and the remaining USD250 million is being reported in the airline’s RASM. Southwest previously estimated the agreement should produce roughly two to three points of unit revenue benefit in 3Q2015 and 4Q2015. One major driver of the revised guidance was weaker than expected bookings during the week of US Thanksgiving holiday, said Mr Kelly. Pricing was also more aggressive, he concluded, with a large number of walk up fares being discounted that week. However, he stated Southwest is not unhappy with its revenue performance. Discounting in the US domestic market appears to be continuing into early 2016, and some forecasts are indicating that fuel prices per barrel will remain in the USD40 to USD60 range for the foreseeable future. Although demand remains strong, it seems that it was underpriced throughout 2015, and lower oil prices will continue to drive some discounting. Southwest and all US airlines will be affected by the decreased pricing to some degree. Just as lower fuel prices drove record profitability for most US airlines in 2015, falling energy costs also triggered discounting that made achieving positive passenger unit revenue growth difficult. The trend is continuing into 2016, and Southwest’s recent declarations of pricing pressure show no airline is immune from the discounting. Although Southwest has a solid financial foundation to weather the discounting, its unit revenues stand a good chance of being pressured through early 2016 and beyond.